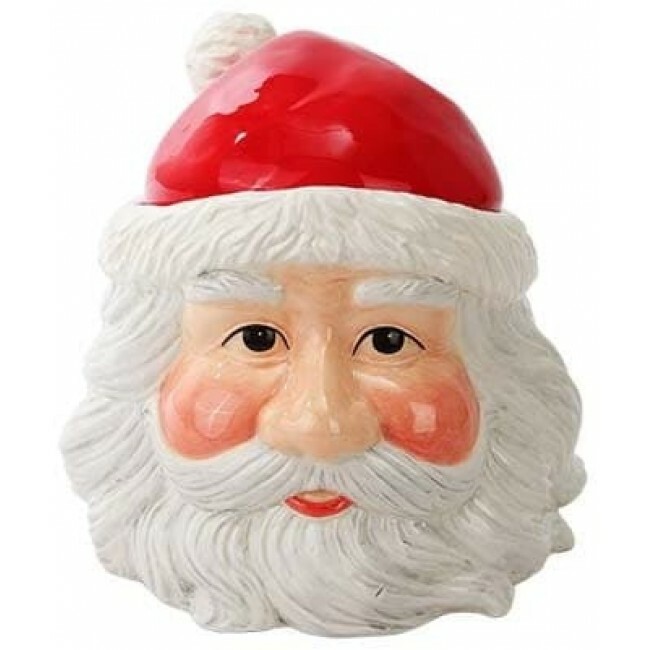 The man in the big red suit is depicted here on a ceramic cookie jar. Santa, rosey cheeks and all, would love to bring some holiday cheer to your kitchen. It's only fitting to have a Santa head cookie jar because he's got cookies on his mind most of the time. Store in warm place near milk.